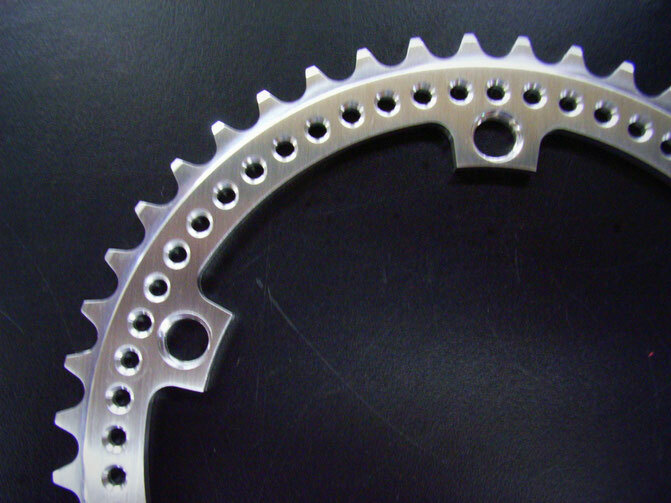 This is a simple clean design with an added touch of style from the machine holes with small tidy chamfers. I have this available in 144 BCD in 1/8 thick tooth.....This Production ring is available in anodised black , Fine Brushed Silver and Polished. Note: Polished and Brushed Silver are prepared after the you have ordered the ring, so may add a few days to the delivery time. Anodised black or Brushed silver. $109.00.....includes freight anywhere in Australia.